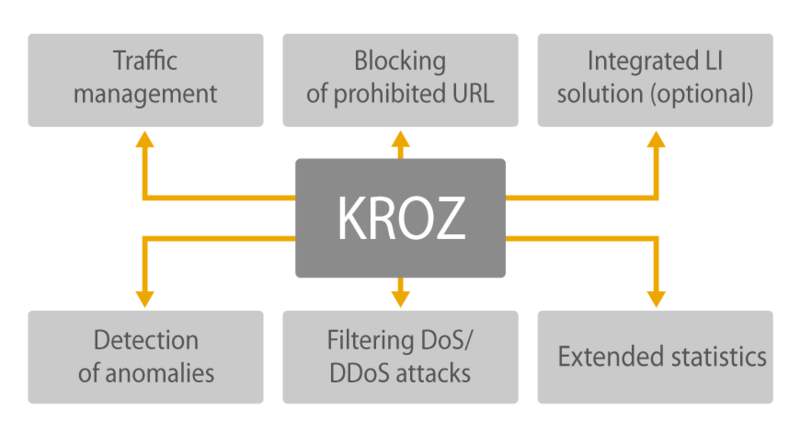 KROZ – complete solution for providing legitimacy in CSP and ISP networks. 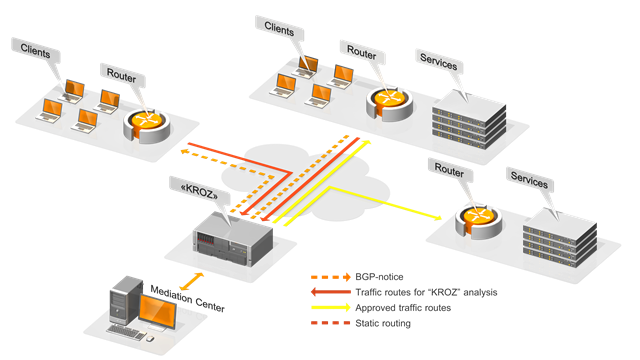 Active DPI analysis solution for integration into the channels of telecoms operator. Certified hardware system, integrated in existing channels, not demanding changes and not creating bottlenecks in a network. Possible connection schemes: inline bypass or capture of traffic on BGP. Traffic management by rules from 2 to 7 levels of OSI model. Purchasing of necessary functional and its extension on the existing equipment. Possible expansion of the range of services provided by the telecoms operator. Blocking of prohibited URL – limits the access to the Internet resources that contain the information the dissemination of which is prohibited. Support manual and automated adding URL. Application Layer: HTTP URL, FTP URL, DNS NAME/CNAME, Internet Messaging, Torrents. 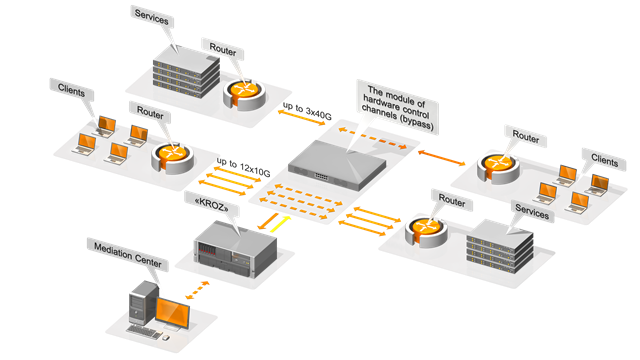 Protection from against network attacks as a service for the network of telecoms operator and Data Center. Reporting to clients – users Dashboard and export the report (in pdf format). Warranty service and extension of functional capacity in accordance with changes in legislation.